Travel providers can help their clients and boost business by offering the opportunity to “switch off” from the online world. This was the opinion of Tanya Goodin, a digital entrepreneur and founder of new retreat operator Time To Log Off, which provides “digital detox” escapes for clients who struggle to detach themselves from their devices. Speaking at the annual ttgluxury Seminar, Goodin told delegates the issue was something the travel industry should seriously consider and described how several of the guests taking part in the retreats had been signed off from work suffering from “burnout”. “It’s been proven that social media activity in particular creates dopamine, and added to the fact that there are now thousands of software designers trying to make devices easier to use, it’s becoming even harder for people to switch off,” she explained. On the retreats, people are made to relinquish their smartphones, are encouraged to spend time outdoors, on long walks and on more traditional activities such as jigsaws and colouring, while also eating healthily. Average human attention spans are said to have declined significantly in the eight years since smartphones took off and are now lower than a goldfish. Research by Microsoft has found that people now generally lose concentration after just eight seconds, highlighting the affects of an increasingly digitalized lifestyle. At the conference, Goodin described how she had founded Time To Log Off, which runs retreats in the UK and abroad, after questioning her own reliance on technology. “Somebody asked me what book I was reading and I thought, ’I haven’t finished a book in two years.’ My concentration span was shot to pieces. It was around that time I went to Silicon Valley and saw the growing movement towards logging off and something that’s been called the digital Sabbath,” she said. 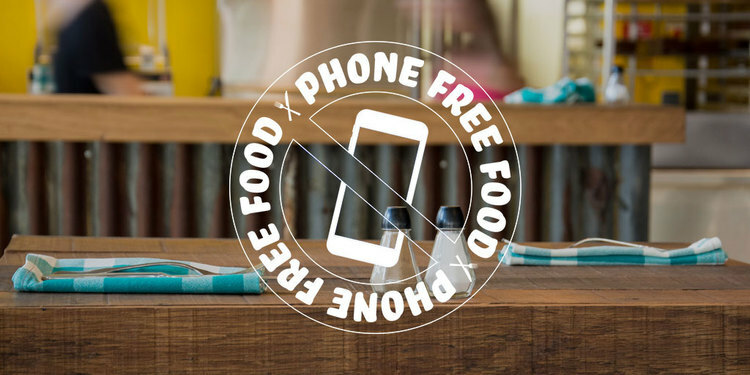 Goodin described how she is also advocating a “5:2 digital diet” (five days of digital use followed by two days’ abstinence) and driving a Phone Free Food movement, whereby mobile phones are banned around the dinner table and in some restaurants. A study by the Happiness Research Institute last year found Facebook users’ happiness increased significantly after a week off the network. She said the use of digital devices in the home and among children was also a cause for concern. “But it’s also worth noting that parents are not always good role models – using phones in front of their children and pretending to check work emails but being on social platforms or other websites,” said Goodin. While the concept of a “digital detox” is nothing new – resorts such as Petit St Vincent have been talking about it for a couple of years – Time to Log Off is one of the first companies to offer a series of retreats focused solely on the concept.